What is the Leadership Camp? 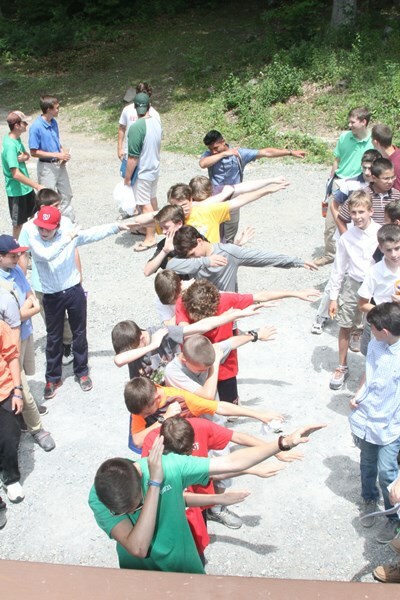 The Leadership Camp is an action-packed, one-week overnight summer camp for entering 6th – 8th grade boys. Drawing upon decades of experience, the camp aims to help boys develop the skills and virtues necessary to be a leader. This year, we’re thrilled to go back to our historic campsite in Tunkhannock, Pennsylvania! 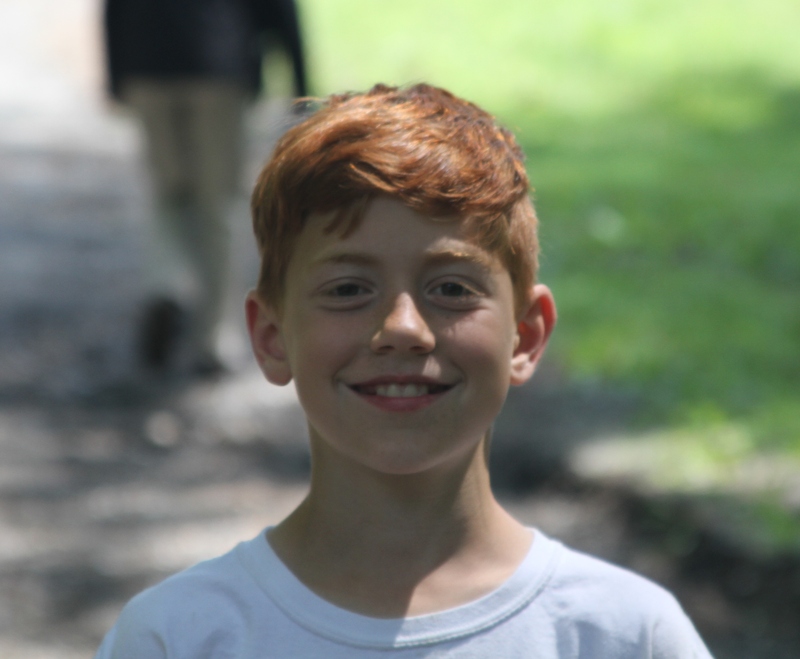 Each boy is placed on a team with about 10 other campers with whom he shares a cabin, attends activities, and competes for prizes. Every morning campers attend a talk on a specific virtue, as well as classes on topics such as journalism, nature studies, great Americans, or military history. In the afternoons, boys compete in football, basketball, soccer, and dodgeball, followed by a refreshing swim. Other activities such as canoeing and archery are offered. In the evenings, there are night-games such as Fox Hunt and Capture the Flag, not to mention a Treasure Hunt and Talent Show. Spiritual activities, such as daily Holy Mass, the Rosary, catechism class, and confession, are also offered. The staff members of the Leadership Camp are carefully selected and trained to be outstanding role models. 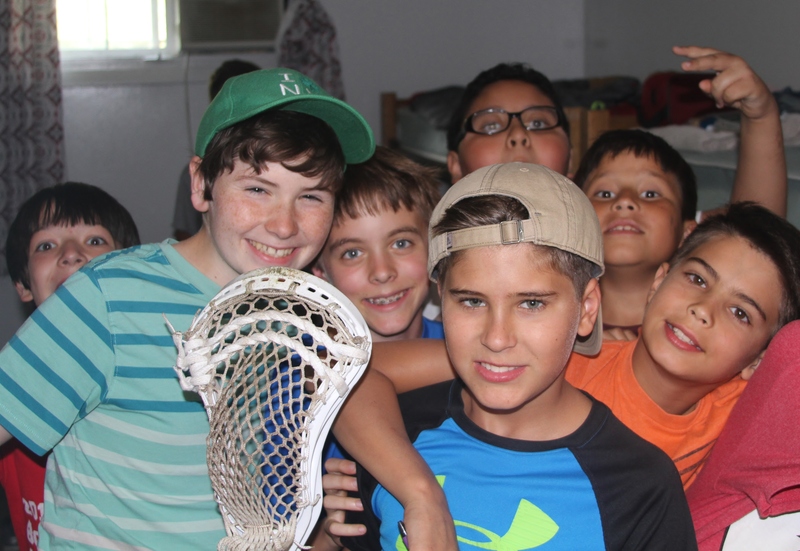 They share the ideals of the camp and are dedicated to the personal growth of each camper. Many of them are former campers themselves. The head staff are adult men who have experience running YSI programs and other character-building activities for young people. The counselors for each team consist in college and high school students who are chosen for their maturity and experience. The camper-staff ratio is 3 to 1. On Sunday, June 23, campers should arrive at the camp between 3:30 – 4:30 pm. Sign-in and drop-off will not be available until 3:30 pm. We will have “Dad’s Night” on Friday, June 28 starting with a talent show at 8:30 pm. Dads may choose to stay overnight at the campsite where we will provide beds without sheets (please bring sleeping bags and pillows) and breakfast the next day. On Saturday, June 29, we will have a Mass for the campers and their families at 9:30 am. Campers should depart from the camp after Mass. Campers normally take 3 classes at the camp. Typical offerings are Journalism (for the camp newsletter), History, Public Speaking, and Catechism. The classes try to spark a love for learning by getting the students actively engaged in the material and by covering special topics that boys find exciting. Full payment is due by May 1, 2019. Click here to go to the camp location on Google Maps in a new window. Parents should make transportation plans for their son to go to and from the Leadership Camp. Campers should arrive at the camp on Sunday June 23, 2018 between 3:00 – 4:30 pm. They should depart from the camp on Saturday June 29, 2019 between 10:00 – 11:00 am. In order to facilitate transportation plans, we help to connect parents who are interested in carpooling with other parents in their area. On the camper registration form, you will have an opportunity to mark whether or not you would like your contact info (city, state, home phone number) to be shared and whether you would like to receive that of others. For those who mark yes, we will send you this contact information starting about a month before the camp. Click here for the 2019 Camper Registration Form. A brief phone interview is required for any family who has not had a son attend the Leadership Camp before. A staff member will call you after submitting the registration form. Please send a $100 deposit at the time of registration. Payments should be made online by clicking on the “Payment” tab above. Registrations will not be considered complete until the deposit is received. Space is limited: first-come, first-served. If you have any questions, please email pa-camp@ysi.org or call 412-683-8448 x550 (please leave a voicemail, and we will get right back to you.). 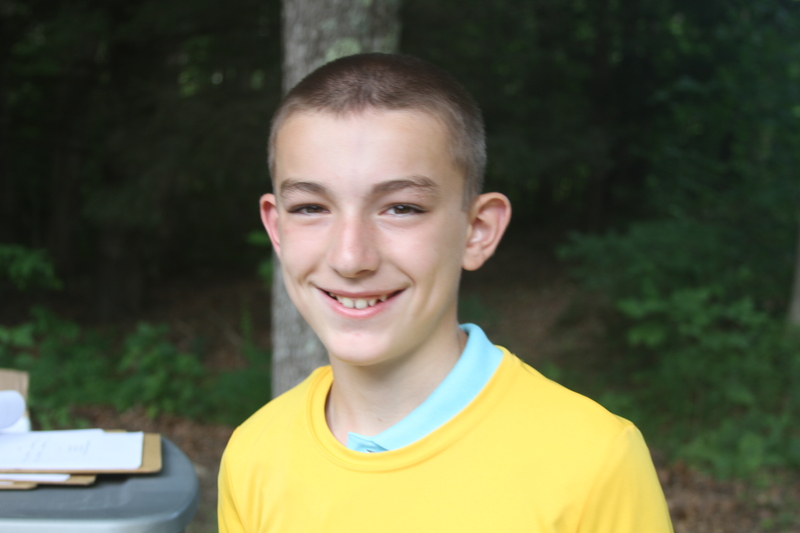 The Leadership Camp is an action-packed, one-week overnight summer camp for entering 6th – 8th grade boys. Drawing upon decades of experience, the camp aims to help boys develop the skills and virtues necessary to be a leader. In order to achieve this goal, the staff is crucial. The Leadership Camp is looking for counselors who stand out for their maturity, work ethic, spirit of service, and desire to grow in personal character. Counselors spend a week in the summer serving a group of campers. The Leadership Camp rests on the idea that one cannot give what one does not have. Therefore, both during the preparatory workshop and the camp itself, counselors receive training in their job and advice and encouragement about how to develop their own character. Additionally, spiritual activities – such as daily Holy Mass, the Rosary, and times of prayer – are offered for those interested. The Leadership Camp tries to help coordinate transportation for counselors to the camp from New Jersey, New York, Pittsburgh, and Washington D.C.
All positions will be selected by camp staff during camp preparation workshop just before camp begins. Senior Counselors: Responsible for a team of about 10 campers and 2 junior counselors. Must be entering college or in college. Junior Counselors: Assistant to a Senior Counselor on a team of about 10 campers. Must be entering junior in high school or older. Logistics Staff (“Mariachi”): Responsible for all logistics and material set-up during the camp. Must be entering junior in high school or older. The first days, June 19 – 22, consist in a mandatory preparatory workshop, held at the campground. The camp itself runs from June 23 – 29. Counselors will need to stay at the campground a day later than campers in order to clean up from the camp. Departure will be in the afternoon on June 30. Thus, all staff should plan on being at the camp from June 19 – 30. Inability to stay for these dates may affect acceptance decisions. None, except that all staff must pay $20 for gas and should pay for their lunch while traveling to and from the camp. Click here for the 2019 Counselor Application. The application form includes two short-answer essays. For those who are over 18 or will have their 18th birthday prior to June 19, please fill out and send the background check authorization form (download here) at the time of application. Applications will not be considered complete until this form is received. Scan and email this form to pa-camp@ysi.org. Applications are due by March 15, 2019. Notification of acceptances will be emailed out starting on April 15, 2019. If you have any questions, please email pa-camp@ysi.org or call 412-683-8448 x550.